Question Marks and Quotation Marks: Inside or Outside? Ah, the eternal punctuation dilemma: does the question mark go on the outside or the inside of the quotation marks? 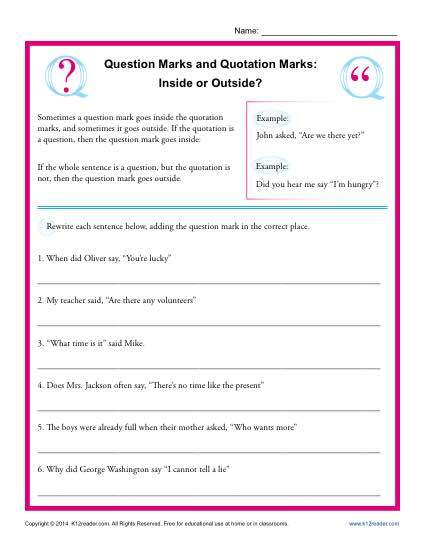 This worksheet helps your student learn the when and why of where that pesky mark goes. As a practice for Common Core Standards for Language for 4th, 5th, or 6th grades, it’s sure to please. Other students may also find it beneficial.